Burlappcar: VW Passat: now with 3 interiors. 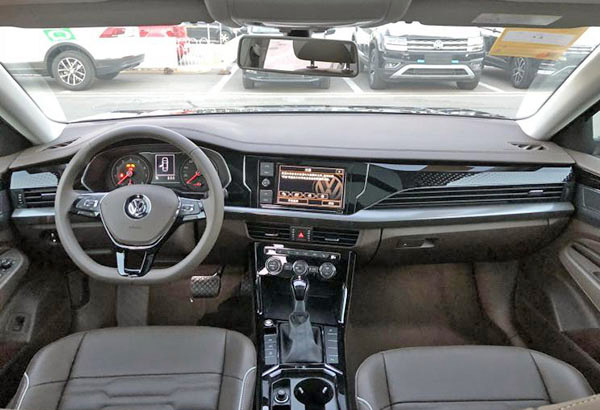 The current European model came out for 2015, and in 2019, the US interior is still not quite as nice. Sure, they will tell you that the European model is much more expensive. Which makes you wonder how Mazda can sell the same Mazda 6 sedan in Europe and the US. This 3rd Passat interior is from the all new Chinese model. A really "all new" car since it is based on the MQB platform, unlike the US model. And it did get an all new interior. One that has its own design and doesn't try to look like the European model. Tupperware must be loving their supplier contract for VW dashboards. Is the Chinese dash too sexist (oriented toward the driver) for the US and Europe? It looks much better to me, and more functional too. My God, a 2020 car with a screen the size of an iPhone X? VW has totally lost its way. For people who want a European Passat, they are offering the best version here soon.. It's called the Arteon.